I still can’t fathom that in a few months we will start with toilet training Shelby! But when it does come time I already have the products ready to go for her. In fact we keep them in the bathroom now for her to practice on. I find having the Bumbo Toilet Trainer and Bumbo Step Stool on hand will help her get familiar with them and know they aren’t something scary. The Bumbo Toilet Trainer gives your child a sense of confidence and security that is very important when potty training. Its unique one-piece design provides secure and comfortable seating for your potty training toddler. It simply sits on top of most adult toilet seats with nothing to attach or remove. The Bumbo Toilet Trainer is made of the same soft, durable low-density foam as the Bumbo Floor Seat and is easy to clean. The Bumbo Step Stool helps toddlers take those first steps toward independence. A whimsical design with a slip-resistant surface on the base and step provides a stable place for toddlers to reach the sink or toilet. It is portable and lightweight, and ideal for use with the Bumbo Toilet Trainer. Supports up to 110 lbs. ONE winner will receive both the Toilet Trainer & Step Stool from Bumbo. I would like to win this for my son 🙂 We are starting the whole potty training thing. I want to win for my little girl. I’d love to win this for my twin boys who are 2 and are about to start potty training! 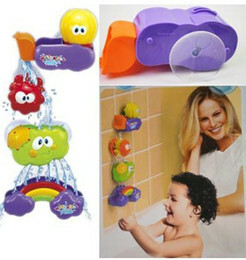 I would like to win this for my son who we’re just starting to potty train! I would love this for my 2 year old daughter. My niece could definitely use this right now! This would be for my sweet little girl. My 2 yr old son! my daughter is going to need this soon. I would like to win this for my granddaughter! I would love this for my 26 month old, we are trying to potty train her but she just doesn’t act very interested yet. My son he’s been a huge challenge to potty train. My daughter is scared to death of the big potty for some reason, she’ll only go on the smaller one. I think this would help her out. This would come in handy for my little girl! Would like to win this for my sisterinlaw who has a little boy in training! My son is potty training right now, he could totally use it! The little one I want to win this for is my grandson. He is just about ready to be potty trained. This would be great for my 2 year old son! We are just about to start potty training.